How would you rate your experience with Houston's Restaurants ? 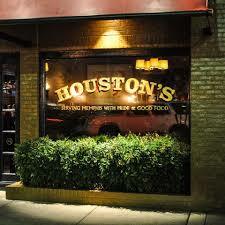 Houston’s Restaurant was founded in Nashville, Tennessee, in 1976 by current CEO George Biel and two partners. Over the years, Biel’s partners sold their interests in the company back to Biel. The corporate company, Hillstone Restaurant Group, was founded in 1976 and owns the following restaurants: Gulfstream, Bandera, Rutherford Grill, Palm Beach Grill, Cherry Creek Grill, Los Altos Grill, Woodmont Grill, R+D, Hillstone, Honor Bar, South Beverly Grill, East Hampton Grill, White House Tavern, and Houston’s. As of 2017, Houston’s Restaurant has 51 locations in 13 states. 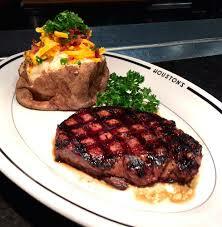 Houston’s Restaurant is a casual American food type restaurant, whose specialty is steaks and seafood. Since 2009, the company has been changing the name of some locations to the corporate name of Hillstone. The company has provided no explanation for this, however, there has been speculation that the change was made to avoid federal menu-labeling requirements on menus for restaurants with 20 locations or more as a part of the Affordable Care Act, otherwise known as Obama Care. 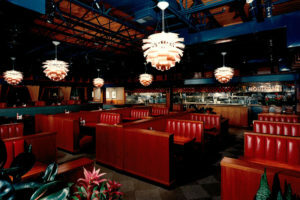 Zagat, a national restaurant review company, gave the restaurant high marks and remarked on its ‘”vibrant”, “modern” setting matched with a “lively bar scene. The company also has overall ratings of 4.5 out of 5-stars on Yelp, TripAdvisor, and Google review sites. Company headquarters are now located in Beverly Hills, California. Question 1: What is the phone number for Houston's Restaurants? Answer 1: The phone number for Houston's Restaurants is (310 385-7343. Question 2: Who is the CEO of Houston's Restaurants? Answer 2: The CEO of Houston's Restaurants is George W. Biel. Question 3: Who founded Houston's Restaurants? 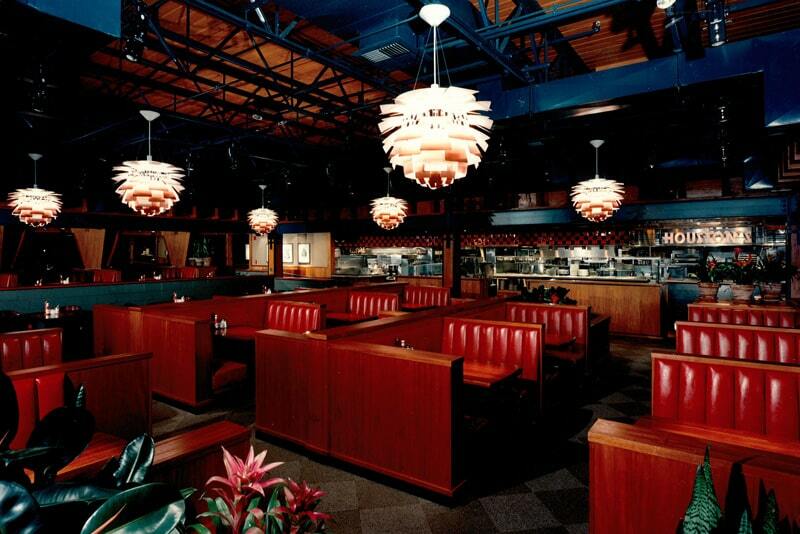 Answer 3: Houston's Restaurants was founded by George W. Biel, Joe Ledbetter and Vic Branstetter in 1976. I have eaten at Houston restaurants for over 25 years and i’ve enjoyed meals nationwide. Now, let’s discuss what happen in Memphis on November 17th late evening. My experience was absolutely devastating with how the manager and host treared minorities in the restaurant, I am Caucasian. I noticed how blacks waited for hours while whites were being seated constantly. The lobby was left with only minorities waiting to be seated, so embarrassing for hours. Management in the pass in memphis was very professional and not bias, the host seem to have gotten a kick out the situation that she controlled, smiling and dancing. Houstons is such a wonderful place to dine and I would hate for the company to become involved in this type if behavior. THE PASEADENA LOCATION HAD HORRIBLE SERVICE E WAITED 2 HOURS, WERE INSULTED….ETC. WE WILL NEVER RETURN BACK. Want to make sure Houston's Restaurants sees your comment or complaint?